Derbyshire County Council operates a scheme to provide small grants to community, voluntary, youth and other local organisations. Its aim is to support projects and initiatives that will benefit local communities. Each of Derbyshire's County councillors are allocated a small annual fund which can be used to support projects in their Division. Organisations seeking support under the scheme should contact their local county councillor explaining the nature of the project, the amount sought, what other funding may be available, and how it will benefit the community. More details about the fund and how to find out who the local councillor is can be found on Derbyshire County Council's website. 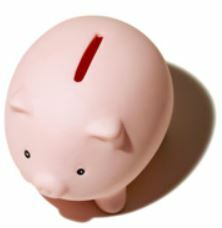 The scheme is designed to meet one-off costs rather than ongoing costs. It is for the local county councillor to recommend which projects should be supported under the scheme. To find out more about this fund, please click here. The Rotary Club of Bolsover is currently welcoming applications to their social grants fund for grants of up to £500. Applications will be accepted from community groups or charities working in the communities of Bolsover, Barlborough, Shuttlewood, Staveley, Stanfree, Scarcliffe, Elmton, Brimington, Clowne, Calow, Scarsdale, Glapwell, Doe Lea, Bramley Vale. Click here for further information and details on how to apply. The Better Derbyshire Dales Fund is administered by Derbyshire CVS on behalf of North Derbyshire CCG, Derbyshire County Council Public Health and Derbyshire Dales District Council. 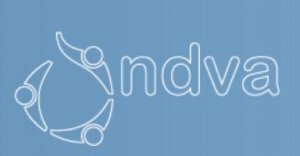 Revenue grants of up to £1,000 and capital grants of up to £5,000 are available for not for profit voluntary sector organisations or community groups based in and / or working in the Derbyshire Dales. Applicant organisations must have an annual turnover of less than £50K in their last financial year. 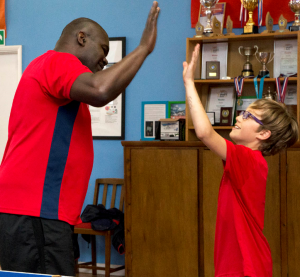 The fund is looking to support projects that aim to develop or strengthen communities and people's health and well-being including projects around exercise, physical activity and play. They are also interested in supporting less popular causes and work that supports disadvantaged and marginalized sections of the community through this fund. The Bingham Trust provides grants for projects which benefit the SK17 postcode in and around Buxton. The average grant is about £1,000, but they do make a few larger awards and many smaller ones, however the Trustees prefer to fund capital projects. The annual fund is around £200,000 per annum. Applications are usually considered in January, April, July and October each year. The next meeting is in April 2016. In order for applications to be considered at that meeting, they must be received by the closing date of Monday 9th July 2018. If you are too late make that meeting date, check their website for the Autumn deadline. Deadlines: 8th April, 22nd July, 23rd September, 25th November 2016. The East Midlands Airport Community Fund meet six times each year to consider grant applications and is open to community groups within a defined 'area of benefit' that meet certain criteria. You can check whether your club / group is within the defined area against their map. However, generally it is areas towards the south and the east of the county which tend to be included. The maximum grant is £2,000 per application, although many awards are for less than this. Funding tends to be awarded for kit and equipment. The fund has a number of objectives and applicants must meet at least one of them. Sport projects will meet the objective 'To bring the community closer together through facilities for sport, recreation and other leisure time activities'. 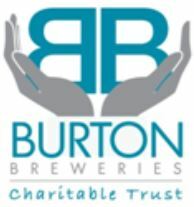 The Burton Brewery Charitable Trust supports projects that make a lasting difference to disadvantaged young people (ages of between seven and 25 years). The fund supports projects within a very specific area. The area covered in Derbyshire is around Swadlincote in South Derbyshire – check the website for the postcodes covered by the fund. The Trust currently has a number of long term projects running, and notification of timing when the Trustees have capacity to accept another long term project will be communicated via their website and the local press. Established charities will then be invited to submit outline proposals which they consider will have a significant impact on the well-being and future life prospects of disadvantaged /vulnerable young people in the Burton-on-Trent area. Deadlines: See website for details. Rykneld Homes, Neighbourhood Improvement Budget is a grant scheme open to local community groups and charities operating in North East Derbyshire. The grant aims to support projects which will have positive impacts upon the local community. Projects must take place within the boundaries of North East Derbyshire and will benefit in some way the tenants of Rykneld Homes. The Safer Neighbourhood Fund for South Derbyshire is a small grants programme available to neighbourhood groups. It gives local people in South Derbyshire a chance to develop projects to make their own community safer. Local people are crucial to the development of safer neighbourhoods and the Safer South Derbyshire Partnership encourages projects that will help reduce crime and the fear of crime in our communities. The Safer Neighbourhood Fund for the whole of South Derbyshire is £24,000 per year, which equates to £4,000 per neighbourhood area. The maximum grant one project can apply for is £2,000. Projects requesting an amount of more than £500 will require match funding. Click here for more information. You have opportunities for Moto staff to be involved with your group. You are happy to support your Moto site with their fundraising events. 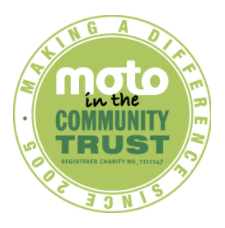 In return your organisation can benefit from funding through Moto's Community Grant Scheme and the opportunity to profile your organisation at your nearest Moto Service Area. This will include one collection day per year at your local Moto Service Area should you be successfully adopted as a community partner. The average grant given through the funding process is £1,000. Depending on the strength of an application and demonstration of commitment by both the Moto site and Partner, larger grants maybe agreed.